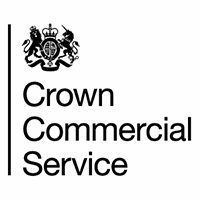 Keen to hear from suppliers small and large across the whole of the UK, the government’s professional procurement arm, the Crown Commercial Service (CCS), is gearing up to launch a new framework contract for the supply of liquid fuels to central government and other public sector organisations. The current agreement, which covers heating oil, automotive fuel and marine fuel, expires in 2017 and CCS has now started the procurement process to set up a replacement. In the last year of the previous Liquid Fuels framework, savings were assessed at 3.5% of total spend of £240m for more than 400 customers with a combined total of over 6,000 sites taking liquid fuels deliveries. The scope of the new agreement, which will last for four years, will be extended to cover other fuel types such as LPG, solid fuel, and biomass and will also include lubricants and greases. Additionally CCS is making provision for associated services such as tank replacement and maintenance, fuel testing and metering and telemetry. It will be issuing a Prior Indication Notice (PIN) in the European Journal shortly and will be asking potential suppliers to engage with them in their market research activities. It is keen to hear from suppliers small and large across the whole of the UK. The new agreement provides a prominent opportunity for suppliers to do business with public sector organisations and all are encouraged to participate. More information can be found on the CCS website (here). Further information can also be obtained by emailing nationalfuels@crowncommercial.gov.uk.